Notes: Scaleby Castle is in the village of Scaleby, Cumbria. The castle was originally built in the early 14th century, and extended in the 15th century to form a substantial fortification. Parliamentary troops attacked the castle twice during the English Civil War, burning it. It was later restored to form a country house. 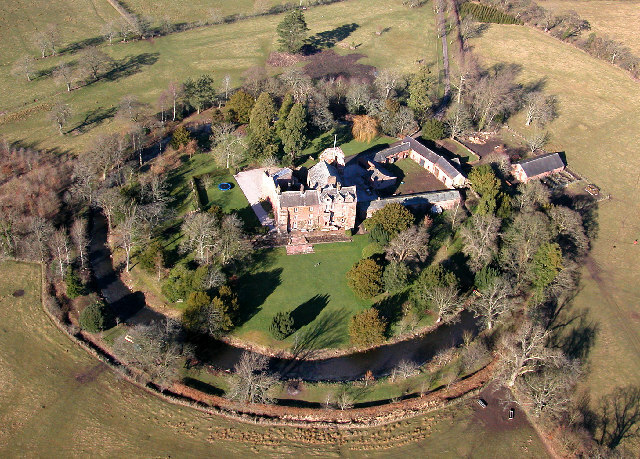 Scaleby Castle.National Monuments Record, accessed 5 April 2012. "Scaleby Castle" Gatehouse Gazetteer. Retrieved 11 March 2015.